This would be good news — if there were any reason at all to think it was true. 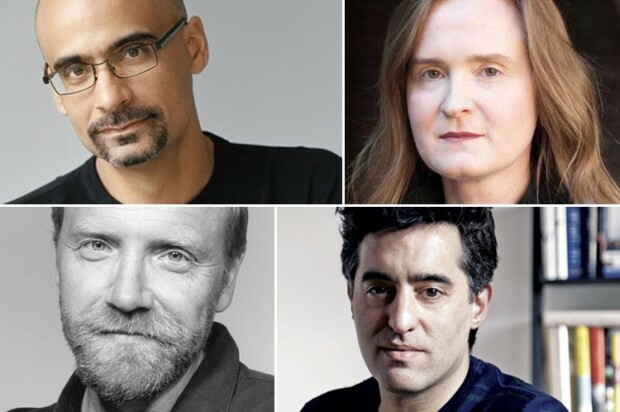 Kaufman’s only evidence for this imaginary renaissance is the success of George Saunders’ story collection, “The Tenth of December,” published earlier this year and currently hovering in the middle ranks of several prominent best-seller lists. Saunders’ longtime fans (I count myself among them) have reason to celebrate this, but it really has nothing to do with “digital options.” Saunders has built a devoted following over the past 17 years, hadn’t published a book in a good while and — most important of all — was heralded in the headline of a long, radiant profile in the New York Times Magazine as producing “the best book you’ll read this year.” All of that could have happened 10, 20 or 30 years ago and produced the same result. 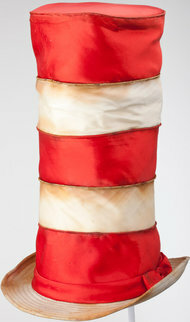 This hat from Theodor Geisel’s collection resembles the one worn by the Cat in the Hat. David Oliver Relin, a journalist and adventurer who achieved acclaim as co-author of the best seller “Three Cups of Tea” (2006) and then suffered emotionally and financially as basic facts in the book were called into question, died Nov. 15 in Multnomah County, Ore. He was 49. His family said Mr. Relin “suffered from depression” and took his own life. The family, speaking through Mr. Relin’s agent, Jin Auh, was unwilling to give further details, but said a police statement would be released this week. In the 1990s, Mr. Relin established himself as a journalist with an interest in telling “humanitarian” stories about people in need in articles about child soldiers and about his travels in Vietnam. So it made sense when Viking books tapped him to write a book about Greg Mortenson, a mountain climber who had an inspiring story about building schools in Pakistan and Afghanistan. Elizabeth Kaplan, the agent for the book, acknowledged that the relationship between the two men was difficult from the start. Mr. Mortenson, who was traveling to remote areas, could be hard to track down, and Mr. Relin spoke publicly about how Mr. Mortenson should not have been named a co-author.